500; 500e; 500L; and soon the 500X. Perhaps it's time for something different. First off, we’ve always been big fans of the Fiat 500, especially the 500 Abarth. 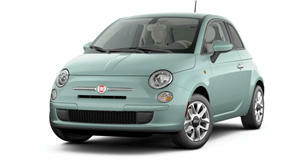 We’re also thrilled that Fiat has returned to the US. But here’s the thing: Fiat is way too 500 centric. Why not sell something else without the 500 name? Heck, over in Europe, alongside the 500, are the Panda, Punto and the Doblo. Granted, none of those are all that exciting, but at least there’s a better variety, which after all, is the spice of life. Still, other Fiats in Europe are nothing more than a rebadged Dodge Journey and Dart. But why not offer Americans other models without the 500 name? What’s wrong with variety? Surely Fiat has the ability to be competitive, and there’s definitely room for the Punto in the US; just look at the strong selling Ford Fiesta. Fortunately, we have very good reason to hope. Word has it that the upcoming fourth-gen Mazda MX-5 won’t serve as the basis for a new Alfa Romeo Spyder after all. Instead, it may become a Fiat Spyder. That would definitely be a good start. Fiat has a real opportunity to expand as a US brand that sells a greater variety of small cars that could have both some Italian flare and decent performance credentials. It’ll just have to try and shake its 500 addiction first.